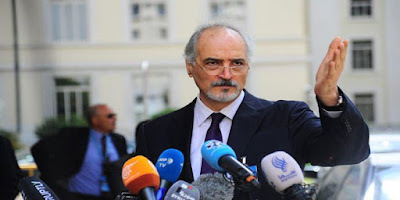 New York, SANA- The Special Committee on the Situation with regard to the Implementation of the Declaration on the Granting of Independence to Colonial Countries and Peoples (also known as the Special Committee on decolonization or C-24) has re-elected Syria’s Permanent Representative to the UN, Dr. Bashar al-Jaafari, as its rapporteur by acclamation. The election of al-Jaafari took place in the opening session of the UN’s Special Committee on Decolonization held Thursday at the UN headquarters in New York. Al-Jaafari thanked the committee members for re-electing Syria to this position, stressing that he will continue exerting efforts to complete the Committee work on decolonization.